Whether you're looking to buy a new home or get insight on how to sell your current home, attend an open house for your chance to connect with a dedicated and experienced professional who can answer all of your real estate questions. Open House Events Delivered To Your Email. Subscribe Now! Our weekly Open House Guide puts you one step closer to finding your perfect home. We'll send you an email with all the open houses happening each weekend. Your first Open House Guide will arrive by email soon. Happy home hunting, and remember, our agents are always available to open all the right doors for you. See a home for sale while you're on the go? Download our Home Search App. 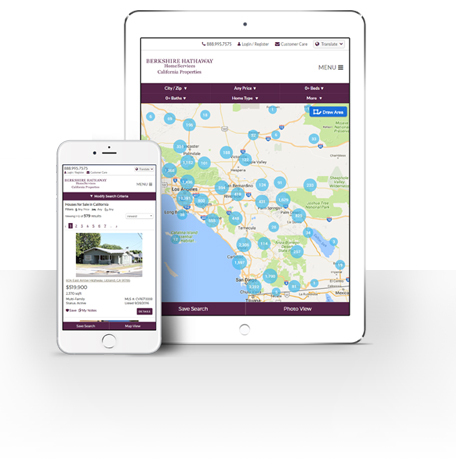 Our mobile app, available for iOS and Android, shows homes for sale near you--anytime, anywhere. With photo galleries and detailed neighborhood maps, your future home will be at your fingertips.